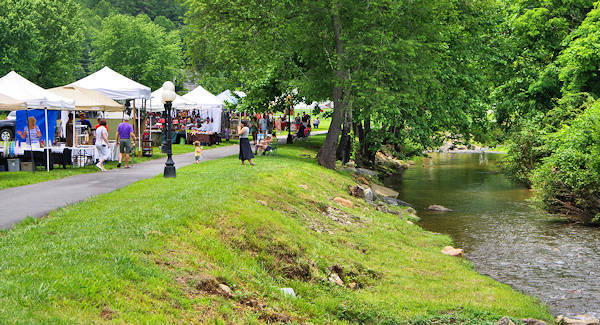 Bakersville is a charming tiny town of about 465 people in Mitchell County, near Spruce Pine, Roan Mountain and the famous Penland School of Craft. The town was formed in the mid 1800s. However, Native Americans mined local mica deposits long before that. The town had a brief boom when mica was mined again in the 1870s. Today it's big on art and the famous rhododendron blooms. A must stop is the co-op gallery is named for the local mineral. Mica Gallery (37 North Mitchell Street) features ceramics, glass, fiber, metal, and paintings by 16 local artists. It's open April-December. Nearby, Bakersville Emporium (7 North Mitchell Ave) feature handmade crafts as well as locally made preserves, grits, honey and more. The In Tandem Gallery (20 North Mitchell Ave) showcases artists from across the country. 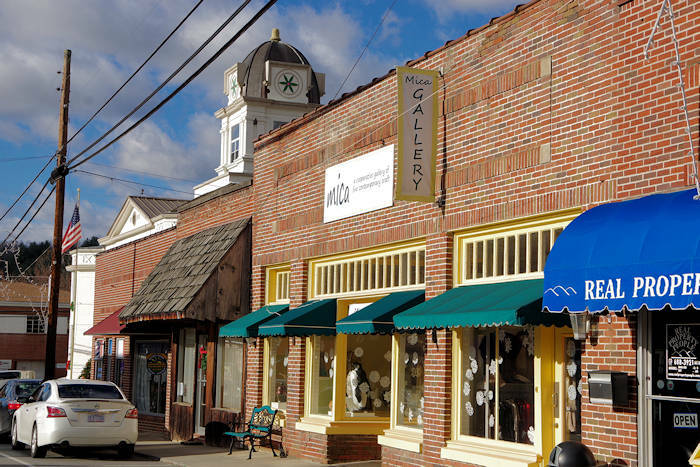 With Bakersville's proximity to the Penland School of Craft, the area has become home to many artists that took classes or presently teach there. You can visit the Gallery at the school, about 8 miles south (read more). 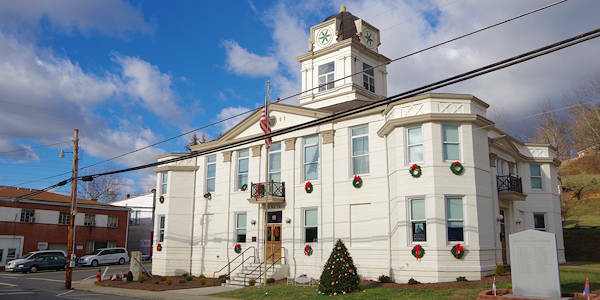 The Historical Society Museum is located in a former's attorney's office behind the historic Mitchell County Courthouse. See other historic courthouses in western NC. Roan Mountain is the destination for many passing through town. From Bakersville, drive the scenic Highway 216 for 12 miles (and up 3,000 in elevation) to reach Carver's Gap at Roan Mountain. 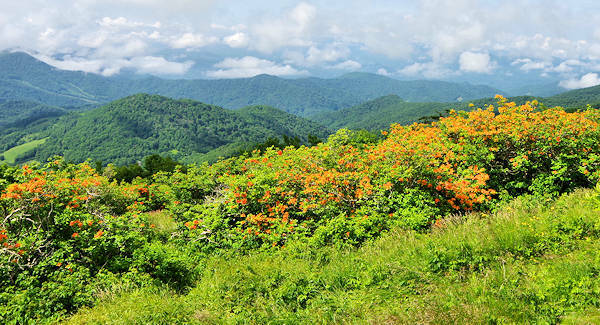 Hike the Appalachian Trail across the balds (read more) or see the vast rhododendron gardens in peak bloom in June (read more). In the winter, the ridge is often covered in snow and ice, creating postcards scenes. 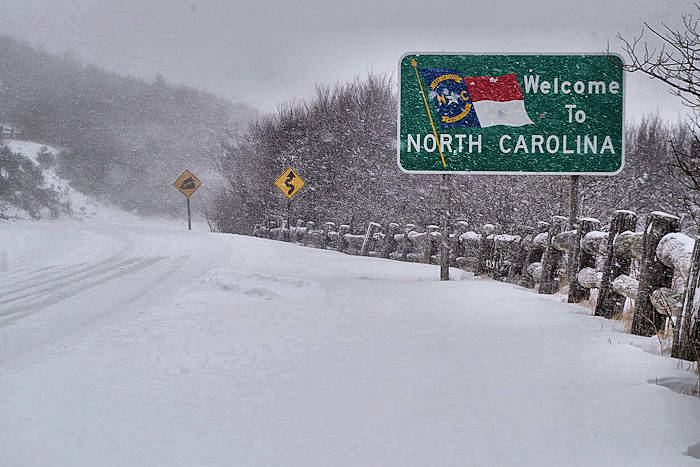 Temperatures are often 15-20 degrees colder at Roan than in Bakersville, so be prepared! Stroll the Creek Walk any time of year. Their Rhododendron Festival is held there on the third weekend of June. 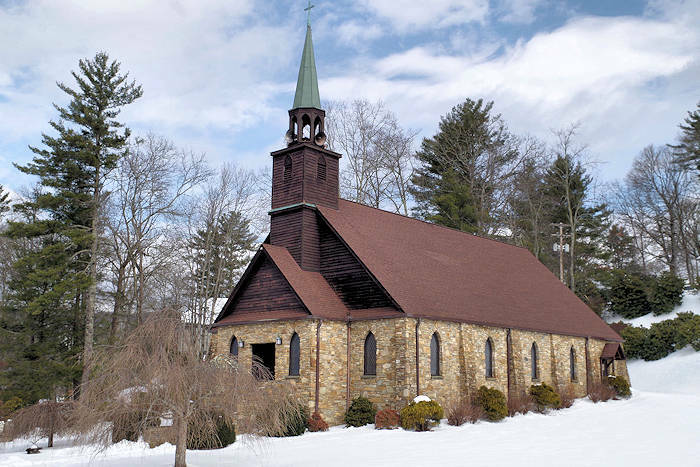 Other small towns nearby include Spruce Pine (11 miles), Burnsville (18 miles) and Little Switzerland (18 miles).